The Chicago Fire endured a slow start and defeated the USL Pro's Rochester Rhinos, 1-0, on Tuesday in a third-round Lamar Hunt U.S. Open Cup match at Sahlen's Stadium in Rochester, N.Y.
Fire forward Diego Chaves netted the game's lone goal as Chicago advanced to the quarterfinals of the tournament. 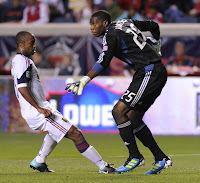 "When you go into a game like this, you've got to be ready," Fire goalkeeper Sean Johnson said. "We started a little slow and had a tough time getting used to the field conditions. But we picked things up as the game went on, especially once we got that goal." BRIDGEVIEW, Ill. -- The Chicago Fire take a short detour from their MLS slate when they take on the USL Pro's Rochester Rhinos on Tuesday in third-round action of the Lamar Hunt U.S. Open Cup at Sahlen's Stadium in Rochester, N.Y. The Fire are providing a live stream of the match on their official site, Chicago-Fire.com, with the opening kick at 6:35 p.m. CT. The four-time Open Cup champion Fire managed to qualify for the tournament for a 14th straight time, defeating MLS sides Colorado Rapids and San Jose Earthquakes in a pair of play-in matches. This third-round match marks another short turnaround for the Fire, who played to a 1-1 draw against the New York Red Bulls on Sunday, preceded by a scoreless draw against Real Salt Lake last Wednesday. "The Open Cup is a tournament that we want to win," Fire interim head coach Frank Klopas said. "We talked about the goals we set in the beginning [of the season], but there are a lot of games and a lot of traveling. We have a very good group of players, and we're going to assess them all." BRIDGEVIEW, Ill. -- The Chicago Fire have had moments this year where the bounces have not gone their way. But on Sunday, a beneficial bounce on a Marco Pappa goal paved the way for a 1-1 draw against the New York Red Bulls in front of 16,961 at Toyota Park. Pappa's team-leading fifth goal in the 58th minute helped Chicago overcome a halftime deficit. Pappa wound up with the ball about 30 yards away from the goal and he decided to take a deep strike toward the left side of the net. Red Bulls goalkeeper Bouna Coundoul dove to his right, but the ball actually bounced over Coundoul and into the back of the net to tie the match at 1-1. "Sometimes he tries things and they don't come through, but there are times where he can make some magic," Fire interim head coach Frank Klopas said of Pappa. "You know what you're going to get from him. He's always going to be in situations where he can create and he can score. He always finds himself around the goal. It's amazing that he's got that ability. Some players have it, some don't." BRIDGEVIEW, Ill. -- The Chicago Fire's short homestand has featured the league's top defense in Real Salt Lake. Now the Fire take on MLS's top offense as the goal-heavy New York Red Bulls and Thierry Henry head to Toyota Park this Sunday (1 p.m. ESPN). Henry is coming off a suspension after receiving a red card against the Portland Timbers. He has been the driving force of the Red Bulls' offense with eight goals. New York is averaging a league-best 1.6 goals per game (26 goals in 16 matches). "For sure, we're looking forward to it," Fire interim head coach Frank Klopas said of the challenge. "It's just another opportunity for us to gain some momentum. The guys will be ready." BRIDGEVIEW, Ill. -- The Chicago Fire offense has not regularly produced over the past month, but the team's defense has turned into a saving grace for points. 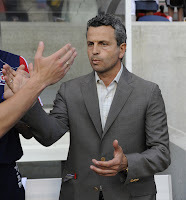 Fire interim head coach Frank Klopas has been at the helm for five matches. Chicago has allowed only one goal and has garnered at least a point per game and a 1-0-4 record since the firing of Carlos de los Cobos. One of the most apparent adjustments that Klopas made was moving to man marking versus zonal marking on set pieces. The Fire have yet to allow a set piece goal under Klopas. "Set pieces have been a key," Fire defender Gonzalo Segares said. "Since we changed to man marking, that is one of the big reasons why we're doing better." "That's just one area where we had given up goals, and we needed a change," Klopas said. "Obviously it was something that wasn't working. We changed it. We put guys on the post and stuff like that to make it comfortable for our goalkeeper when he comes out. Man marking suits us better." Chicago Red Stars midfielder Michele Weissenhofer scored two goals and assisted a Julie Ewing goal as Chicago defeated the Madison 56ers, 3-1, in Women's Premier Soccer League action on Wednesday at Breese Stevens Field in Madison, Wis. In other Red Stars news, the team added midfielder Katie Nasenbenny (LaGrange, Ill.) and defender Megan Oyster (Naperville, Ill.) to their roster for Wednesday's match. Read more at the Red Stars' WSPL site at WPSL.info. BRIDGEVIEW, Ill. -- The Chicago Fire and Real Salt Lake played Wednesday's match as though each side was waiting for one mistake to pounce on. But that never came to fruition for either side as the Fire and Salt Lake wound up in a scoreless draw in front of 14,972 at Toyota Park. Chicago and RSL grinded out the match, which had some moments of back-and-forth play, but featured very little on either offensive third. Chicago had a 4-2 shots on goal advantage, and Salt Lake did not post a shot on goal in the second half. 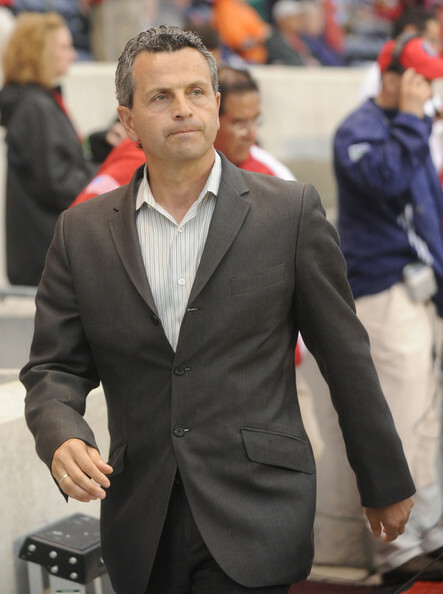 "It was tough at first for us," Fire interim head coach Frank Klopas said. They're a team where their strength is in the middle of the field. I think we had a little bit of a hard time in the beginning. And I think when things settled a bit, we found the game a little bit better." Chicago Fire forward Cristian Nazarit will be suspended for two matches, according to a source. The MLS Disciplinary Committee is expected to suspend the Colombian forward for Chicago's matches against Real Salt Lake on Wednesday and the New York Red Bulls on Sunday. The Fire (2-4-9) and Salt Lake (6-3-4) kick off at 7:30 p.m. Wednesday at Toyota Park. Midfielder Marco Pappa returns to the Fire after playing for Guatemala in the CONCACAF Gold Cup. Chicago Red Stars midfielder/forward Vanessa DiBernardo was named to the Women's Premier Soccer League Team of the Week (for Week 6) on Tuesday. DiBernardo, the 2010 Big Ten Conference Freshman of the Year, tallied the game-winning goal off of a corner kick to lead the Red Stars to a 2-0 victory over 2010 WPSL National Semifinalists FC Milwaukee last Thursday. For the full WPSL Team of the Week, visit WPSL.info. The path leading up to former Chicago Fire defender C.J. 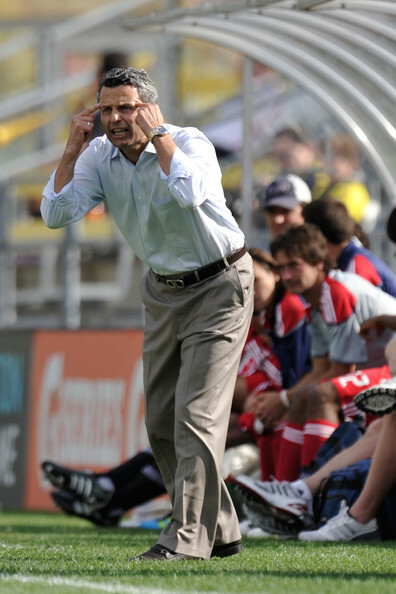 Brown's MLS coaching debut came together quickly. Following his retirement announcement toward the end of the 2010 season, Brown made it clear that he wanted to move on to the coaching side. Within a matter of months, he became an assistant coach for Real Salt Lake -- the team that ousted Chicago from the 2009 playoffs and went on to win its first MLS Cup under head coach Jason Kreis. "This team has already been going in the right direction," said Brown, whose RSL team faces the Fire this Wednesday at Toyota Park. "By me coming in, I'm not making them better. It's my job to keep something flowing. Jason and the entire program have done it the right way. Our back line is a pretty comfortable group, working with each other." The Chicago Fire defense has been in top form under interim head coach Frank Klopas, posting three straight shutouts under his tenure. But one slightly delayed push by the defensive back line allowed the New England Revolution a game-tying goal, as Chicago played to a 1-1 draw on Saturday at Gillette Stadium in Foxborough, Mass. 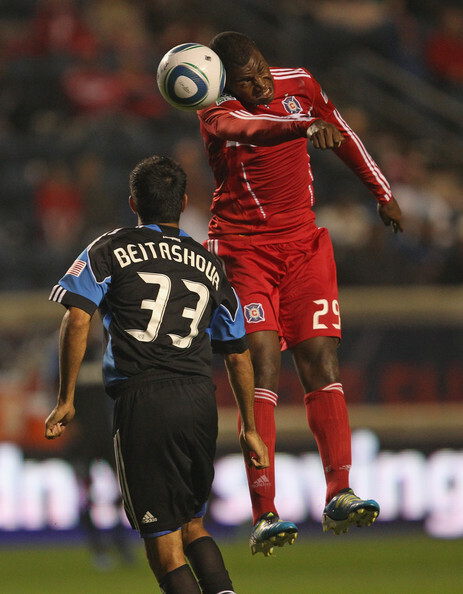 The Fire's Dominic Oduro tallied Chicago's lone goal in the 32nd minute for a 1-0 lead. 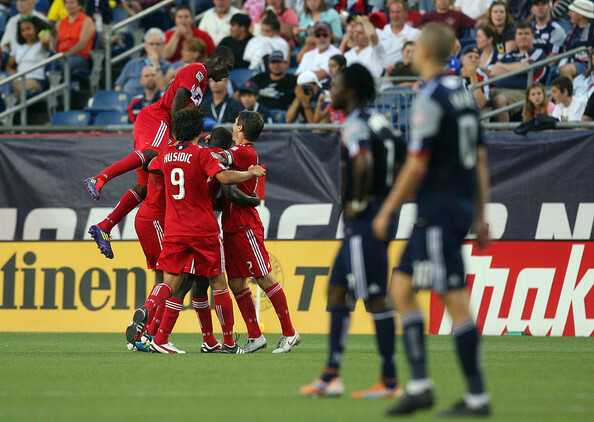 But early in the second half, Revs forward Rajko Lekic leveled the match at 1-1. Chicago's defensive back line attempted to put Lekic in an offside position, but veteran defenders Cory Gibbs and Gonzalo Segares were a shade late in stepping up -- replays showed that Lekic stayed onside. New England's Pat Phelan had the service to Lekic, and Lekic placed his shot inside the right post to tie the score. It was the only major mistake from Chicago (2-4-9), which had the lead and was in position for a second straight win against an Eastern Conference foe. "We're definitely frustrated because we managed the game well," Segares said. "We had plenty of chances, and I think that's what makes this hurt a little bit more." When newly appointed Chicago Red Stars coach Rory Dames asked Julie Ewing to join his team this summer, it provided the Batavia graduate an opportunity to play alongside some of the region’s best collegiate players in a somewhat nostalgic role. Before attending the University of Illinois, Ewing was typically a midfielder or forward for Dames’ Eclipse Select Soccer Club. Ewing has primarily been an outside defender on the Fighting Illini’s back line during the last three years. With a deep knowledge of her strengths, especially, according to Dames, “her rare creativeness and cleverness on the field,” Ewing has been playing outside-midfielder for the Red Stars this summer. Read the full article at KCChronicle.com. BRIDGEVIEW, Ill. -- The Chicago Fire's dreaded winless streak has passed. Now the Fire have the task of building off of a long-awaited victory when they take on the New England Revolution on Saturday at Gillette Stadium in Foxborough, Mass. Chicago's team-record 11-game span without a victory was an unavoidable talking point over a two-and-a-half-month stretch. But with a road win against the Columbus Crew last week, the Fire are now switching gears for a second straight positive outcome against another Eastern Conference foe. "We feel like if we match their intensity, the soccer part will take care of itself and we can get a result," Fire midfielder Patrick Nyarko said of the New England match. "Especially on their home field." The Chicago Red Stars earned their first Women's Premier Soccer League victory with a 2-0 blanking of FC Milwaukee Nationals on Thursday. Vanessa DiBernardo tallied a first-half goal for Chicago (1-1-0), and Shayla Mutz was credited with a second-half goal. Milwaukee (3-1-1) suffered its first loss of the season in WPSL Midwest - North play. The Red Stars hit the road for a 6 p.m. match Wednesday, June 22, at the Madison 56ers. Chicago's first public home match of the season takes place at 5:15 p.m. Saturday, July 2, against the Iowa Rush at the Village of Lisle-Benedictine University Sports Complex. CLICK HERE for tickets. 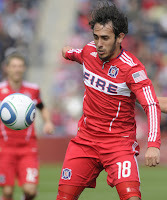 BRIDGEVIEW, Ill. -- With all of the lineup changes, formation switches, and an in-season coaching adjustment from Carlos de los Cobos to interim head coach Frank Klopas, Chicago Fire rookie forward Orr Barouch is one of the few constants throughout the Fire's trying season. "I give him a lot of credit, because he has the personality of a young player who wants the ball at crucial times and wants to make things happen," Klopas said. "In the last game, I felt that the guy was going to make something happen." In other Fire news, Chicago will resume Lamar Hunt U.S. Open Cup play with a third-round match on June 28. The location and Chicago's opponent have yet to be determined. U.S. Soccer announced its possible third-round pairings Wednesday. The Fire will either host the Harrisburg City Islanders of the USL Pro at 7:30 p.m. Tuesday, June 28, at Toyota Park in Bridgeview, or they will travel to Rochester, N.Y., to face the USL Pro's Rochester Rhinos at 6:35 p.m. CT on June 28 at Sahlen's Stadium. For the latest Fire news, visit ESPNChicago.com. CHICAGO -- The Chicago Red Stars of the Women's Premier Soccer League announce the additions of defenders Leigh Jakes (McDonough, Ga.) and Heather Marik (Naperville, Ill.) to the team's roster for the 2011 season. Jakes completed her tenure with Northwestern University last year. As a fifth-year senior in 2010, Jakes started in nine of 13 games played and also scored her first collegiate goal against Penn State on Oct. 8. Marik is coming off her sophomore season with Clemson University. She started in all 19 matches, led the Tigers in minutes with 1,651 and was named the team's defensive most valuable player. For the latest Red Stars news, visit the team's WPSL page at WPSL.info. For 280 minutes, the Chicago Fire could not put anything in the net. But on Sunday, Fire forward Cristian Nazarit broke that scoring drought with a game-winning tally in second-half stoppage time en route to a 1-0 win over the Columbus Crew at Crew Stadium in Columbus, Ohio. The win was Chicago's first since its March 26 home-opening victory over Sporting Kansas City, and it snapped a team-worst 11-game winless streak. "It's always great to get a win, especially going this long without one," Fire midfielder Patrick Nyarko said. "It's a happy locker room, and rightly so. Things haven't gone our way, but we have kept at it and kept fighting." 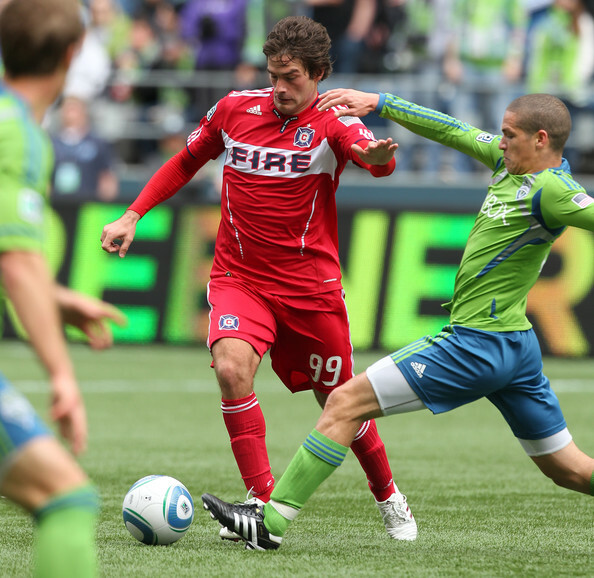 The ugly moments of the Chicago Fire's 2011 season have been piling up from week to week. Their last effort, a scoreless draw against the Eastern Conference's last-place Sporting Kansas City, left a bitter taste for the team and for many folks attempting to watch the match. 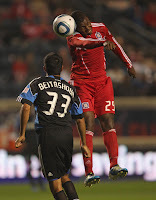 "It wasn't a pretty game," Fire interim head coach Frank Klopas said of Thursday's match at Livestrong Sporting Park. "We had opportunities to make better passes and decisions, and we had opportunities on the break. Those are things that you've got to be working on, developing attacks from the back." The Fire (1-4-8) prepare for another East battle on the road when they face the Columbus Crew (4-3-6) on Sunday at Crew Stadium. Columbus is 4-0-3 on its home pitch, most recently posting a 2-1 victory over Real Salt Lake on Wednesday. Two struggling teams at the bottom of the Eastern Conference table clearly could not find some flow within their play on Thursday. The Chicago Fire and last-place Sporting Kansas City played to a scoreless draw as K.C. opened up Livestrong Sporting Park in front of a sold-out crowd of 19,925 in Kansas City, Kan.
Chicago (1-4-8) saw its team-high winless streak reach 11 games (0-4-7), and Sporting (1-6-4) had to play down a man for a half hour to salvage the draw. "When we were a man up, we could have done a little better in the final third," Fire interim head coach Frank Klopas said. "I thought we were predictable with the ball. Our movement wasn't great. We could have been a little bit sharper." BRIDGEVIEW, Ill. -- The Chicago Fire's lone victory of 2011 was during their home opener on March 26 against Sporting Kansas City. K.C. has spent its first 10 matches on the road, but Sporting finally get to play on the home front when they open Livestrong Sporting Park on Thursday against the Fire (9 p.m. kick-off, ESPN2). The new 18,500-capacity facility and the long-awaited home opener for K.C. certainly will create a festive atmosphere. "It's a beautiful stadium and it's exciting, with a lot of energy," Fire interim head coach Frank Klopas said Wednesday following training. "From a mental standpoint, we've got to be ready from the start." CHICAGO -- The Chicago Red Stars of the Women's Premier Soccer League announced their 2011 Summer Camps schedule for girls, ages 7 to 16, with various camps running from mid-June through mid-August. Red Stars Camps take place in Oak Brook -- Polo Fields, 700 Oak Brook Road (June 20-23); Elgin -- Elgin Sports Complex, 709 Sports Way (June 27-30); and two Naperville camps at Commissioners Park, 3704 111th St. (July 18-21), and Nike Park Sports Complex, 288 W. Diehl Road (Aug. 8-11). For more information, email smcdonnell@chicagoredstars.com or call 312-546-3670, ext. 105, and leave a message for Shannon. Visit the Red Stars' camps page at www.RedStarsGear.com/camps2011.html. BRIDGEVIEW, Ill. -- The Chicago Fire looked composed and aggressive in the first half of their first match with interim head coach Frank Klopas at the helm. But the end result was reminiscent of the past couple of months as the Fire played Seattle Sounders FC to a scoreless draw on Saturday in front of 13,839 at Toyota Park. With the draw, the Fire set a team record with a 10-game winless streak. During the stretch, the Fire are 0-4-6, and they are now 1-4-7 overall during the season. "We didn't get the win, but I felt there were a lot of positives going away from this game," Klopas said. BRIDGEVIEW, Ill. -- The post-Carlos de los Cobos era begins for the Chicago Fire, and it is no secret that interim head coach Frank Klopas' squad has a deep hole to climb out of. The Fire are 1-4-6 and have tied a franchise-worst nine-game winless streak (0-4-5). Chicago attempts to end the ongoing skid when it hosts Seattle Sounders FC on Saturday at Toyota Park. "Everybody's definitely wanting to get back on track," said Fire goalkeeper Sean Johnson, who returned to the starting role last week for the first time since April 14. "We're always optimistic that we can progress toward getting to the playoffs. The reality is we're 1-4-6, so we've got to get out of this rut." CHICAGO – Chicago Red Stars midfielder and University of Illinois sophomore Vanessa DiBernardo will take part in her third U.S. National Team training camp of the summer, held June 4-12, after being named a member of head coach April Heinrich's U-20 squad. While practicing in Chula Vista, Calif., at the Olympic Training Center, DiBernardo and the 23 other student-athletes on the U-20 team will host their Japanese counterpart twice in preparation for upcoming FIFA U-20 World Cup qualifying matches. DiBernardo's call-up is mentioned in the Chicago Tribune's The Inside Scoop blog.